A humorous musical suite by the French Romantic composer Camille Saint-Saëns. The work was written for private performance by an impromptu ensemble of two pianos and other instruments. 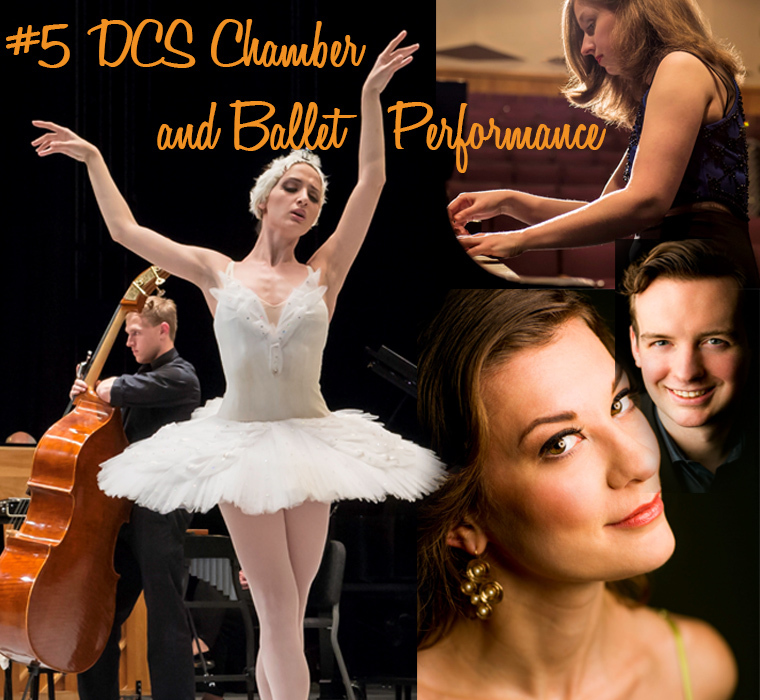 This performance features Jennifer Nicole Campbell and Arnold Ostroff on piano -- with the Academy of International Ballet -- accompanied by the DCS Chamber Ensemble. DCS Artist-in-Residence Jennifer Nicole Campbell premieres a new work, Through A Glass, Darkly, for solo piano and the dancers of the Academy of International Ballet. The title phrase, to look through a glass darkly is to have an obscure or imperfect vision of reality. The expression comes from the writings of the Apostle Paul where he explains that we do not now see clearly, but at the end of time, we will do so. Performed by Soprano, Katherine Skoriva and Robert Whalen on piano and percussion. Robert Whalen's setting of The Wind, a wildly inventive poem by 14th Century Welsh poet Dafydd Ap Gwilym, sets the tone for the untamed expanse of nature through which so many creatures of "Carnival" careen.